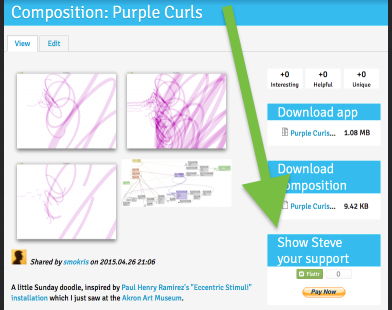 How can I support people who share Vuo compositions? How can I get paid for Vuo compositions I share? You can show your support to composition authors by making micropayments with Flattr or Paypal. All transactions are made between two people through those payment services — Team Vuo does not collect any fee. You can use Flattr, Paypal, or both. 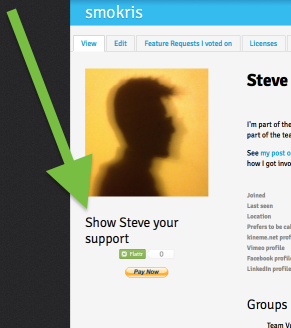 Go back to your user profile page and verify that the "Show your support" section shows up as you like.